Most of you following us on our social media platforms already know that I had a great time in Macao last fortnight. 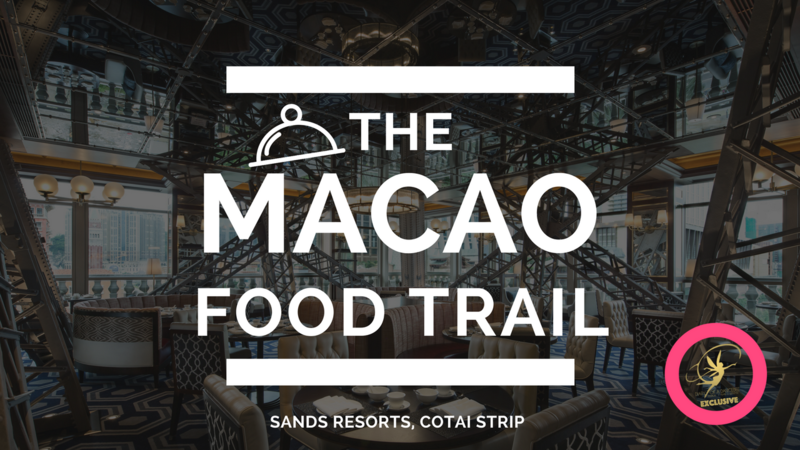 From delightful activities to gorging on dainty dishes and exploring the stunning properties owned by Sands Resorts at the Cotai Strip; we did all this and so much more! This fortnight, I am super excited to share stories and exciting features from my Macao travel diaries. We kick off our #DancebeeInMacau series with some culinary feast. During our stay, we got an opportunity to visit different restaurants, located within the connected properties (more information about the property to follow in upcoming posts). With a variety of restaurants dedicated to multiple cuisines from across the globe, there was something for everyone. We were spoilt for choice, as we explored some of the most popular restaurants, mainly at The Venetian and The Parisian Macao. There was a lot to like and love at each of these restaurants. While some stood out for its ambience, some others for its gorgeous decor. But, all of them had one thing in common - delicious food. 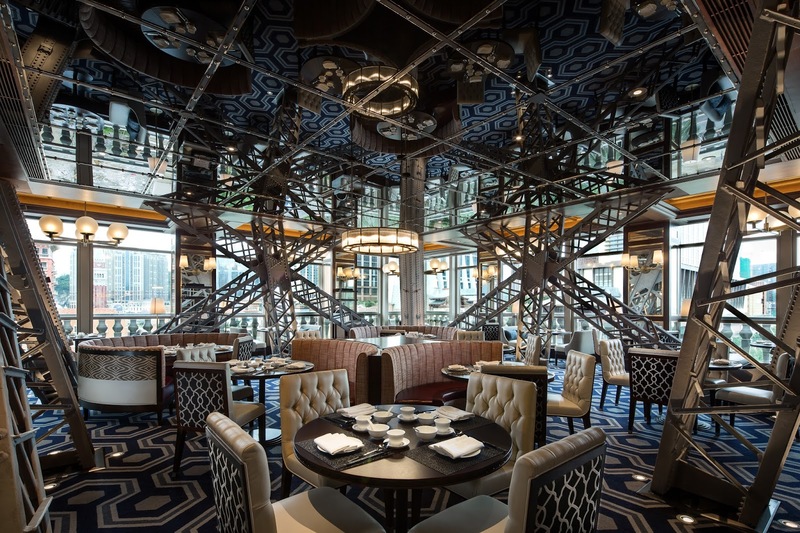 Here's a round up of our favourite restaurants, that you must visit on your next trip to Macao. After a long day of travel, we reached a few hours late, which resulted in a late lunch. However, the delicious French fare at the Brasserie ensured we leave the place with a smile on our face. This all day dining place is a favourite with those who enjoy signature French dishes. 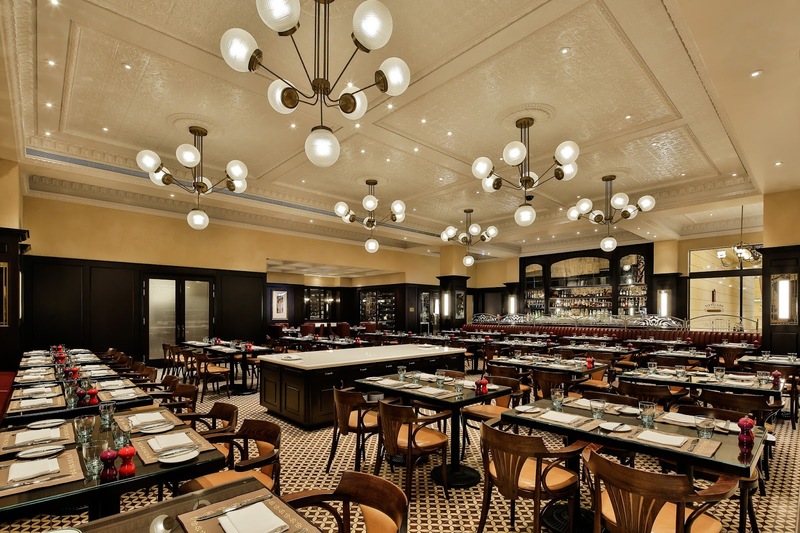 Brasserie's kitchen team is led by the experienced French chef Daniel Brolese, who ensures the dishes bring out authentic flavours. Featuring classic café favourites, straight from the streets of Paris, one must try some delectable crepes filled with cheese, shallot and cream sauce with french fries, soups with a basket full of fresh bread on the side or just some good ol' plate full of french fries (one of the best I have tried). Special mention of the amazing service at the restaurant, warm ambience and eye-catching decor. You know that wonderful feeling when you find an Indian restaurant, miles away from home, serving lip smackingly good desi food? 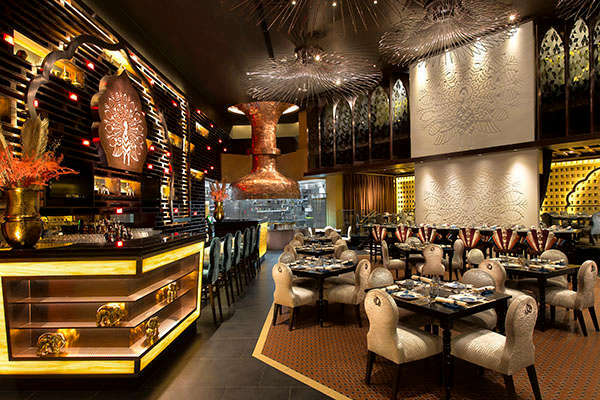 Say hello to Golden Peacock - a fine dining Indian cuisine restaurant at The Venetian Macao, that had has bowled over with it's supremely divine desi fare. The only Indian restaurant in Asia starred by Michelin for three consecutive years, Golden Peacock is known to have a comprehensive desi menu, with popular dishes from Northern and Southern India (Jain dishes are served too). Not only Indians, but you will also find other international tourists enjoying the scrumptious food at this restaurant. Our curated menu (separate for guests depending on Veg & Non-Veg preference) included Veg Starters, Tomato Shorba, mains including Egg Plant (Baingan) curry and more. We absolutely loved the dessert, which consisted of Mango Rasmalai and hot Gulab Jamuns. Right from the presentation to hospitality, choice of dishes on the menu to the wonderful ambience, Golden Peacock scores full points on our list and was definitely our favourite pick at the Sands Resorts, Macao. Always dreamt of enjoying a wonderful meal, while adoring the breathtaking view from Eiffel Tower? Well, The Parisian Macao fulfils your wish with La Chine - a Chinese cuisine restaurant situated on level 6 of the Eiffel Tower. Vibrant ambience, tastefully done up decor and the aroma of good authentic Chinese food; La Chine is an elegant fine dining restaurant in every way. What we love about this place is the fact that it creates a wonderful melange of two completely different cultures - Chinese and French, not only in the ambience, but also with its appetising fare. Where else would you find the delicious blend of red bean crepes with green tea ice cream? We loved our curated four course vegetarian fare. However, what won our heart has to be a summery fresh non-alcoholic drink called 'Eiffel Love' - packed with strawberries, coconut milk, mint and more (those following us on Instagram have seen a glimpse of this delicious drink). What's better than enjoying some Eiffel Love, while gazing at the stunning view from the famed tower? A slice of Italy in Macau. 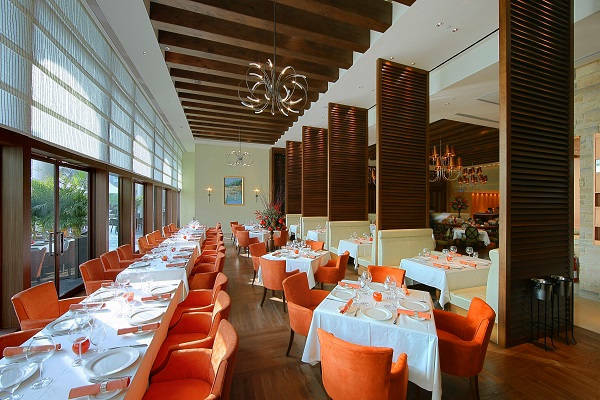 One of Venetian Macao's popular restaurants, Portofino serves delicious Italian dishes. Classic setting, beautiful ambience and stylish decor; Portofino is the kind of place where you would love to relax and chat with your friends over some really good food. If indoor dining is not your thing, you can also choose to dine at the patio, while enjoying the beautiful weather and overlooking the stunning pool. On Day 3, after an amazing tour of important tourist spots in the Macau region, we visited Portofino for lunch. And boy, it was so good! We loved every bit of the Caprese Salad (mozzarella with tomatoes, pesto and pine nuts) and vegetarian pasta specially curated for us. If you love classic Italian dishes and some good ambience, this place is a must visit! Everybody needs a solid brekkie to start their day. 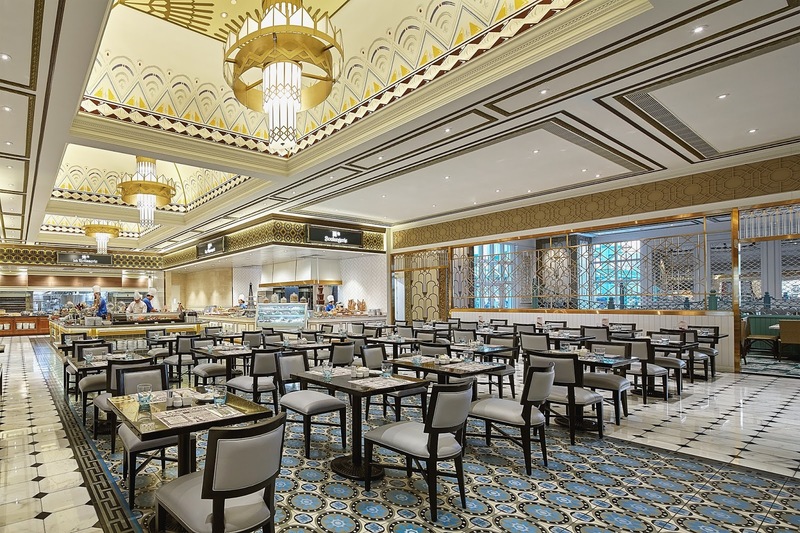 What better than a scrumptious buffet, with tons to breakfast options to choose from? Le Buffet at The Parisian Macao, located just 5 mins away from my room at the same property, offers all day buffet. The delightful breakfast spread includes salads, soups, fresh cut fruits, juice and a variety of different food items. Live counters at the buffet served eggs (prepared according to requirement), rice bowls and many more options, mostly non-vegetarian. We also spotted parathas, chole (reads as chickpea curry), egg fried rice, noodles and more. One could also take a pick from the wide variety of breads, croissants and cheese available at the restaurant. Some of our favourite picks during the stay (since being a vegetarian, I had limited options) were the crispy hash browns (my favourite), DIY salads, fresh breads and fruit juices. 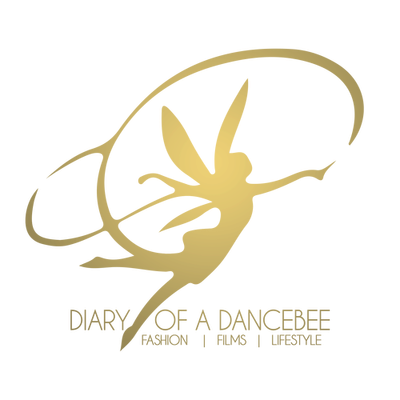 We've got tons of updates coming up from the Dancebee Travel Diaries in Macau. Stay tuned!